Take your places please for a chance to play the exciting game of Railway Station Snap! Readers with long memories, or young relatives, will be familiar with the original card-based version of Snap. Players take turns to turn over a shuffled hand of cards, with the aim being to find matching cards on the same turn. That’s it, really. What can I say? It’s aimed at young children. We’re not talking Bridge levels of sophistication here. Railway Station Snap is very similar. The object is to find matching railway stations. I don’t mean ones with a vague family likeness, produced by the same architect. I’m talking proper look-a-likies. For a beginners challenge, you can start with smaller railway stations. In the Victorian railway-building boom lines were being built so quickly that it’s no surprise the railway architect’s office churned out very similar designs for use at smaller stations. If all that was needed was a simple station building on one side of the tracks, why design something bespoke? Nevertheless, although many railway companies developed an identifiable house style with common materials and detailing, the final design of most station buildings varied from site to site. It’s quite unusual to find identical stations today, especially given the likelihood that many stations have been demolished or rebuilt in the intervening time. 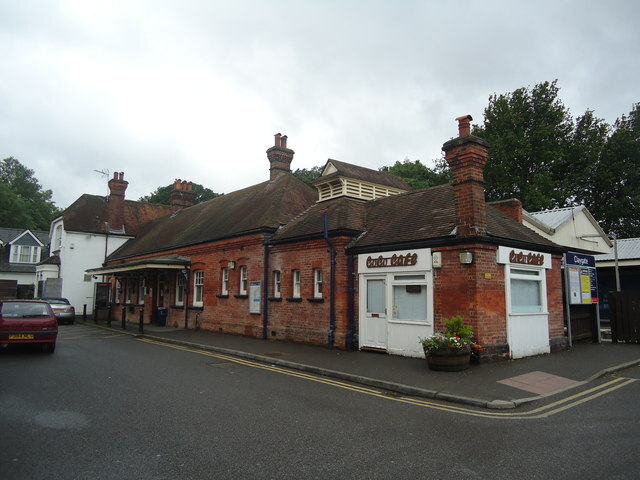 Perhaps the most remarkable set of matching small stations in Britain can be found on the route between Guildford and Surbiton (the one via Oxshott, not the one via Woking). 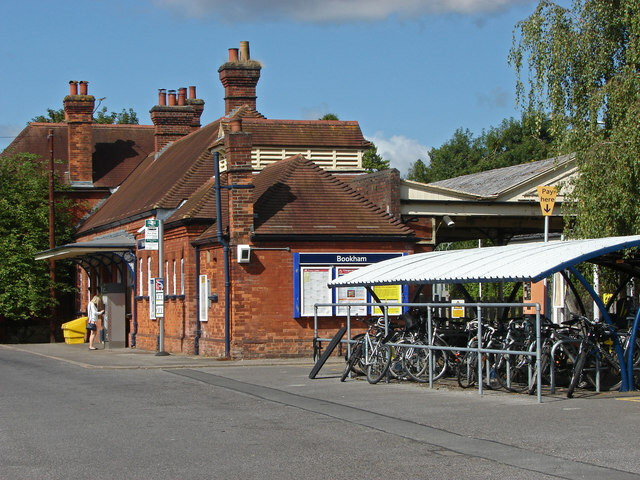 Built in the 1880s by the London & South Western Railway as an alternative to its main line, the New Line (with its associated branch line to Leatherhead via Bookham) has never been as busy as its slightly more northerly cousin. Unlike the towns served by the main line which have grown substantially since the railway opened, the villages on the New Line have remained stubbornly village-sized, growing very little. There’s an economics thesis in there somewhere, I suspect. 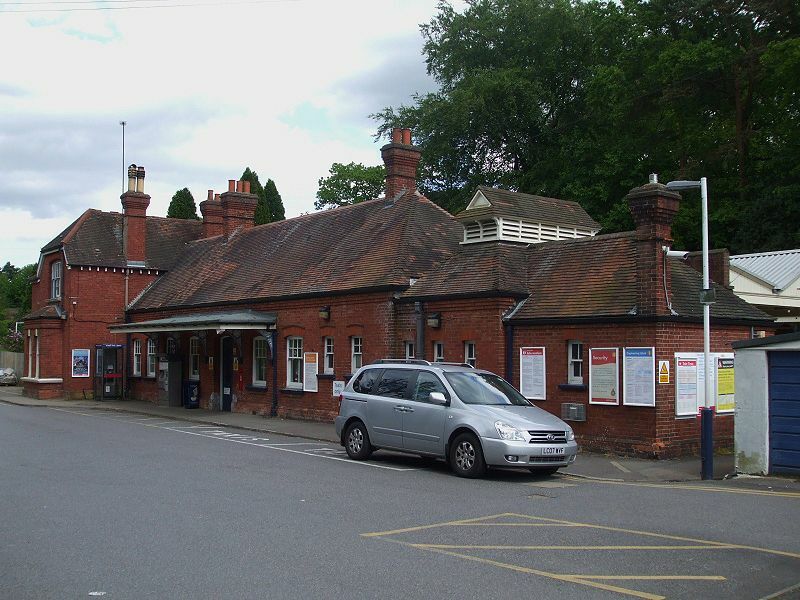 But we’re interested in the station buildings, as those at London Road (Guildford), Clandon, Horsley, Bookham, Oxshott, Cobham & Stoke d’Abernon and Claygate were built to absolutely identical designs (although sometimes in a mirror-image orientation). 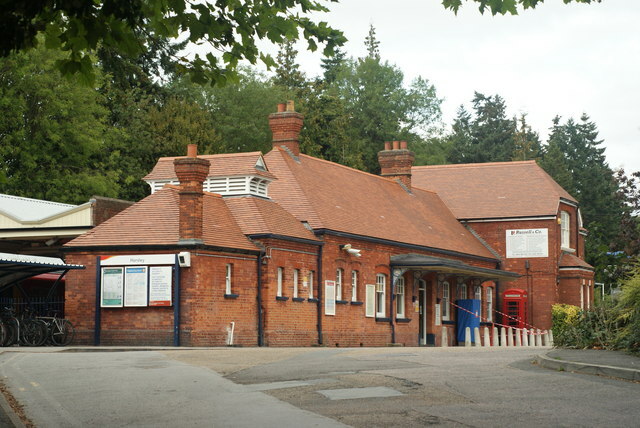 Each one comprises a two-storey station master’s house at one end, featuring a half-hipped roof over the gable end, and a brick-built bay window on the ground floor. A run of single storey blocks extends out from this building, each one slightly lower than the next. The first, and largest, block contains the ticket office and waiting rooms. The next block, which features a slightly Arts and Crafts ventilator on the roof, contains the toilets. The final block contains a small office. 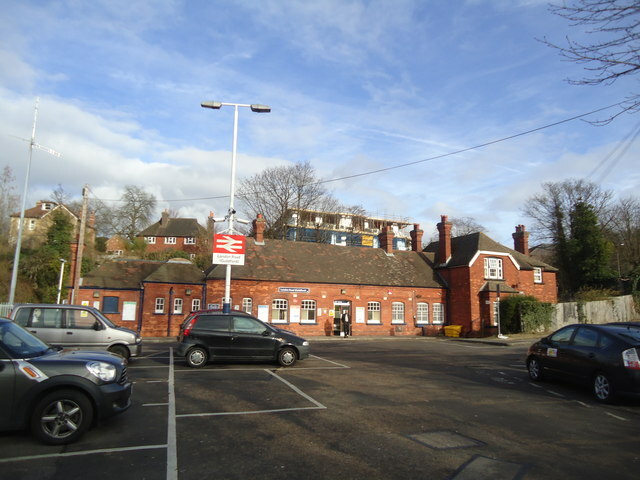 The stations are built of red brick with tiled roofs, and have curved arch windows. They look like Victorian villas, and were/are eminently suited to the well-heeled areas in which they are located. Most remain essentially unaltered since they were constructed, although Cobham & Stoke d’Abernon’s roof has been substantially rebuilt as a result of which it now looks less like its siblings. 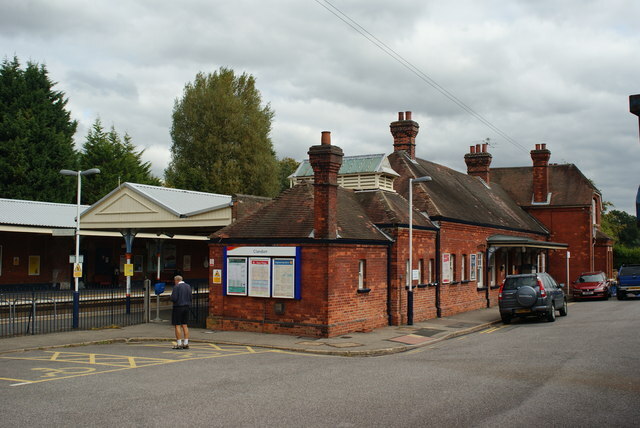 (The remaining stations on the New Line are Effingham Junction, which had a tiny weatherboarded wooden ticket office perched high up above the southbound platform, and Hinchley Wood, which was built a lot later). So that makes a total of six identical railway stations (you can see the knocked-about Cobham & Stoke d’Abernon station here if you’re interested), a worthy winner of a hand of Railway Station Snap, I think. Ready? There’s another good set of matching stations to be found on Scotland’s West Highland Line. Again these are small stations, this time timber-framed on a brick plinth with lovely overhanging roofs keeping doors well clear of any snow falling off the roof in winter. They’re often described as “chalet style” and you can find out more about them via the Friends of the West Highland Line website, here. I’m rapidly running out of space and word count so I won’t show you the pictures, but I could be persuaded if someone can find me more identical twin/triplet/quadruplet etc railway stations to feature in a second article on Railway Station Snap. Over to you. In any case, small rural stations are the sort of the thing you might expect could be produced to a single standardised design. It’s Railway Station Snap for beginners, to be honest. More advanced players will want to progress to the challenging category of large stations. The construction of a railway station in a large town or city had an element of civic pride about it, and therefore you would expect a bespoke design to have been rustled up. It’s hard for a town or city to be as proud of a railway station which looks exactly the same as one down the road, as it is of one which was specifically designed for its locale. 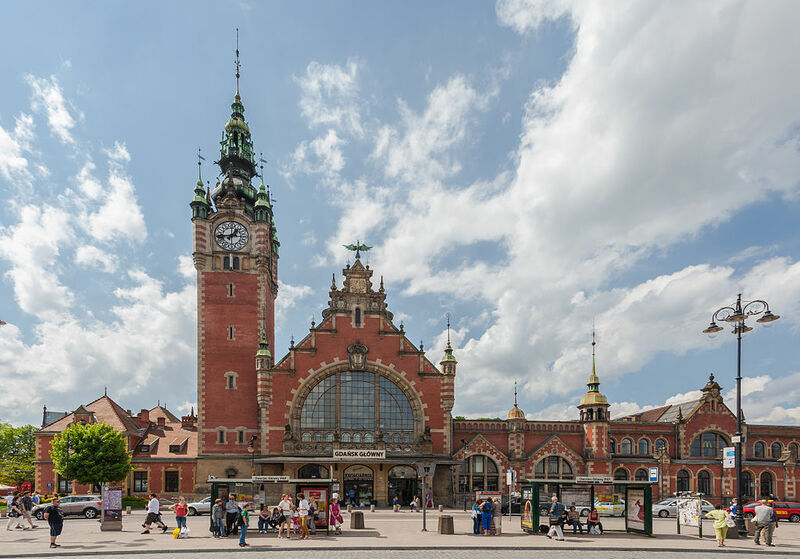 The people of Gdańsk have good reason to be proud of their railway station. Here is Gdańsk Główny, which opened in 1900, designed by Alexander Rundel and Paul Thomer. This isn’t actually the original station, which was destroyed by the Soviet army at the end of the Second World War. It was subsequently rebuilt to the original design. And why not? It was a highly influential station design. We know this because…someone nicked it. Let’s be charitable, and note that imitation is the sincerest form of flattery. 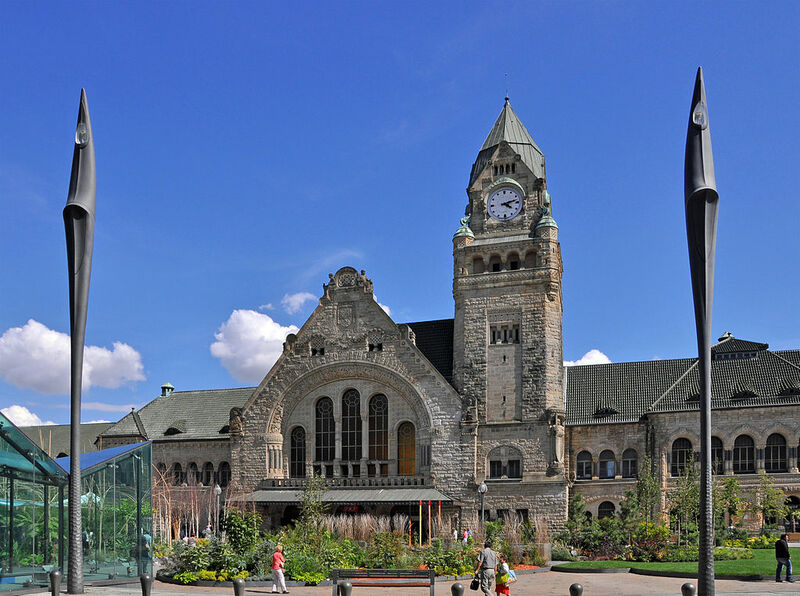 What the residents of Colmar probably didn’t know was that the main tower of Danzig’s station was modelled to closely resemble the somewhat older tower of Danzig’s town hall, which indeed it does, rather well (see the town hall here). So not only did Colmar get an identikit station, but one that celebrated the architecture of a different town altogether. At least Drum tried to hide the steal by changing the top of the tower so it looks a bit less like Danzig’s town hall, and by simplifying the big gable end, doing away with the crow step-effect decoration. Back-to-front snap, I reckon. 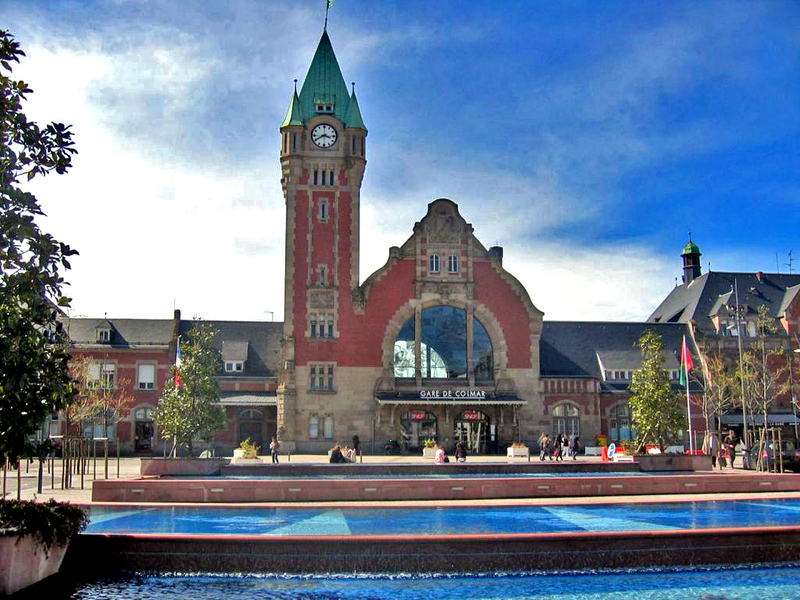 Opened in 1908, Metz was designed by Jürgen Kröger (1856-1928). All the fun has recently been taken out of Railway Station Snap by modern modular stations which, by definition, look pretty much the same as each other. It’s also a game pretty well unique to the railway industry. Bus stops are far too similar to each other to play Bus Stop Snap, and airports are too rare to get identikit designs, although rather too many of them share identical atmospheres of sterility and stress. But if you’re travelling around the railways or railroads of the world, it’s worth keeping your eyes open for somewhere that looks weirdly like somewhere you’ve been before. It’s déjà vu in built form. As usual, sources linked to above will have been read and the information re-used in this article.